The Pod Shop Flowers has proudly served the Greater Philadelphia, Pennsylvania area and central New Jersey for over 40 years. We bring our long-standing quality and commitment to each wedding we create. 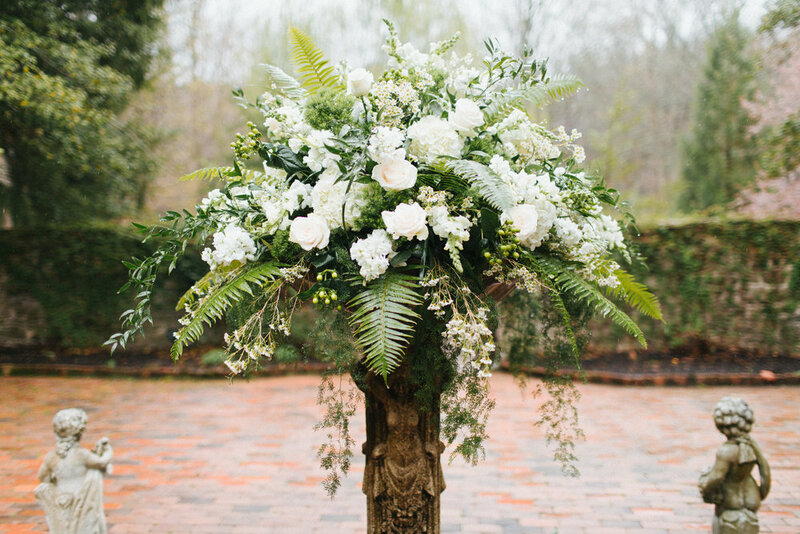 Owner Kim Haggerty brings 30+ years of experience in wedding and event floral design. She leads a team experienced designers who can help make your day unforgettable. We know each couple has their own style in mind for their big day, so all of our arrangements are made custom. We will sit down with you to go over all of your wishes while working to design the perfect flower plan for your wedding! Our passionate staff provides timeless design excellence while keeping up with the latest trends. We rely on our extensive experience to provide stunning and memorable work. Visit our galleries to get inspired! We're located moments from the heart of charming downtown New Hope. Give us a call or shoot us an email to set up a complementary consultation to build a custom flower plan for your special day! Looking to send flowers for a special occasion? We are a full-service florist with same-day delivery.